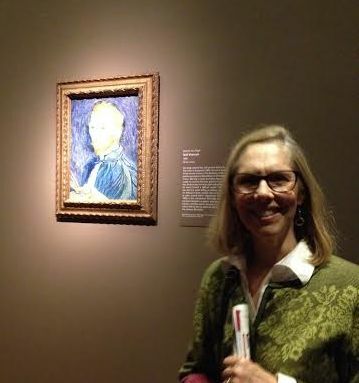 Laura W and I went to the exhibit at the Art Institute in Chicago last Friday, VanGogh’s bedroom. It was wonderful. What I really love about special exhibits is all the additional information you get concerning the artist and the time period. They even had a full scale mock-up of his room for you to view poke into. 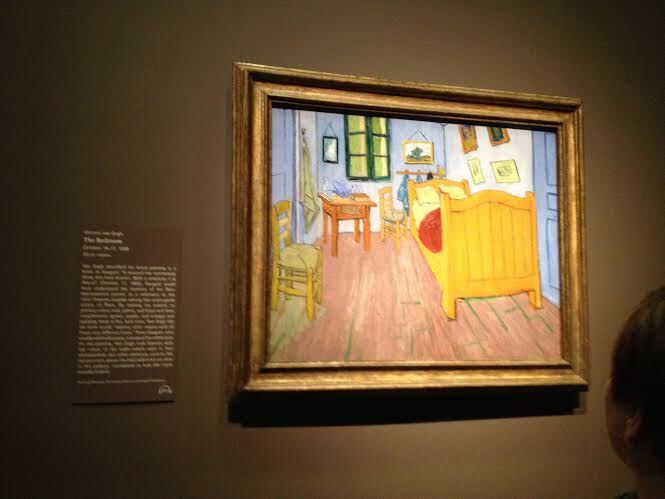 VanGogh painted three separate views of his room, in his beloved “Yellow House” in Arles, France. This is the first time all three pictures have been together in an exhibit. 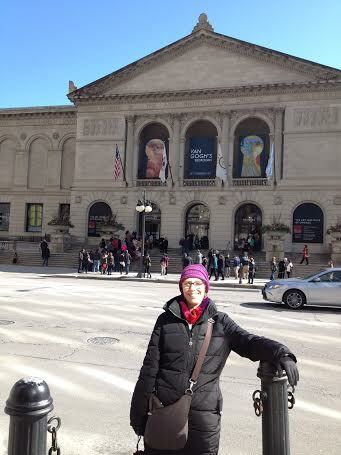 The Art Institute owns one of the pictures, so we visit it every time we go to the AI. Seeing all three was a real treat. Me and my buddy Vincent.